For the 10th year in a row, Maclean’s magazine has ranked McGill as the top university in Canada among institutions offering medical-doctoral programs. McGill achieved its high standing despite having the 12th-highest operating budget, as weighted by full-time equivalent student, among the group of 15. For the 10th year in a row, Maclean’s magazine has ranked McGill as the top university in Canada among institutions offering medical-doctoral programs. The Maclean’s medical-doctoral category includes 15 Canadian universities with medical schools and a broad range of PhD programs. 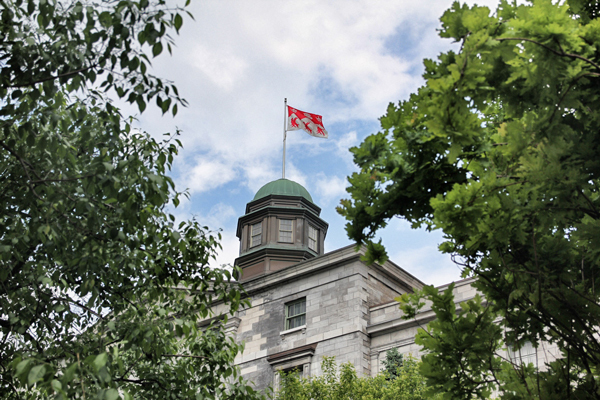 McGill achieved its high standing despite having the 12th-highest operating budget, as weighted by full-time equivalent student, among the group of 15. But McGill ranked at the top in a number of categories, including reputation for highest quality, percentage of the budget devoted to library services, percentage of total operating expenses devoted to scholarships and bursaries, and social sciences and humanities grants, among others. McGill also led all Canadian universities participating in the rankings exercise in terms of having the highest average grades for students entering university. The University also maintained its status as the most international in the country for undergraduates, with 25.2 per cent of the incoming student body coming from outside Canada in the fall of 2013. The top 10 medical-doctoral universities, as ranked by Maclean’s, were McGill, University of Toronto, University of British Columbia, Queen’s, University of Alberta, McMaster, Dalhousie, University of Ottawa, Western and Laval. Earlier this fall, McGill ranked 21st in the world in the annual QS World University rankings – the 11th year in a row the University had scored in the top 25 – and 39th in the Times Higher Education World University Rankings.